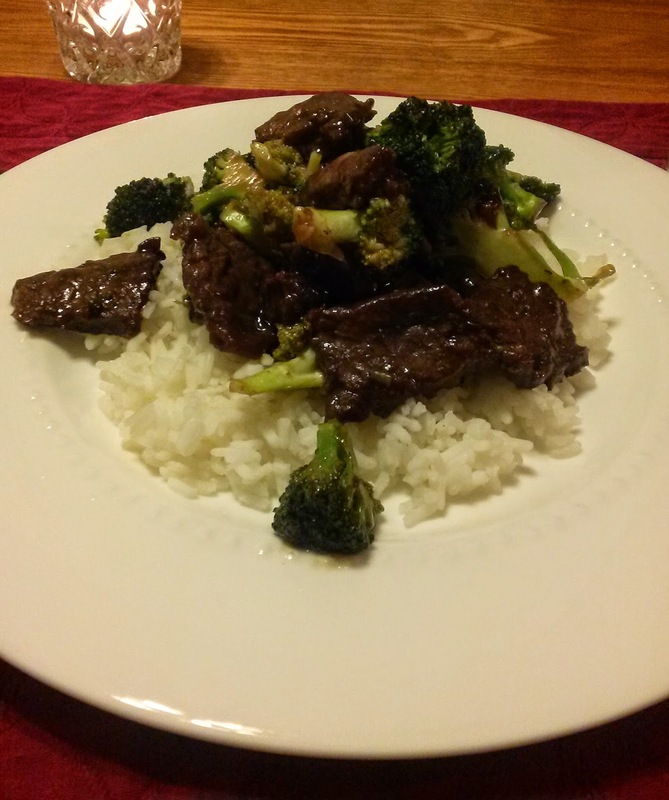 Last Monday, I prepared one of my new recipes again, beef and broccoli, for dinner. I followed the same recipe I came up back in November, having combined my two favorites found online. Although, I did tweak it, using a single tablespoon of dark brown sugar this time. I only managed to marinate the flank steak for exactly an hour. Having received a larger 12-inch pan with matching lid for Christmas, I (luxuriously) didn't have to brown the (pound of) meat in two batches. I am pleased in how it turned out. It was delicious, as were the leftovers. 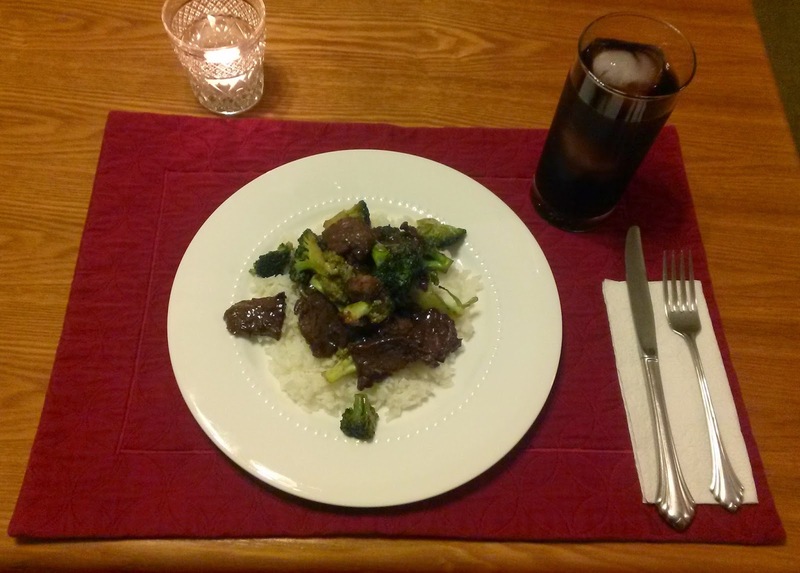 I served the beef and broccoli over white rice and indulged in Coca-Cola to drink. I can see this dish becoming one in regular rotation. Mmmmmm...I would like to try all three mentioned above at home some time next week even if it's warm now, wait it's warm all year around except for two days:). I'm so looking forward to my paycheck this Friday so I can get back into it! And I like the simple way you set your table too. Thank you. I don't have much but I do try to have a nice table setting with each meal.